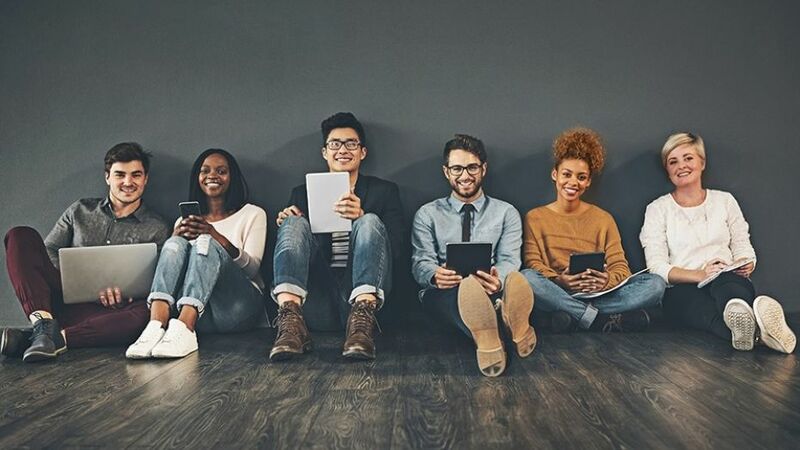 For years, people have argued over how millennials will fall into the professional world, and how the generation of technology and diversity will change the way we see business. Over time, research has started to indicate how some of these changes may take shape. 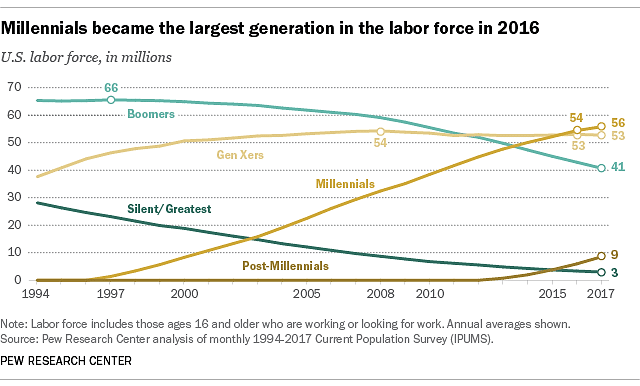 Millennials are the largest generation in the United States labor force. According to Pew Research Center, U.S. Census Data shows that one-in-three American labor force participants (35%) are millennials. As of 2017, 56 million millennials were working or looking for work. Research suggests that the millennial population, accounting for immigration, will peak at 75 million. 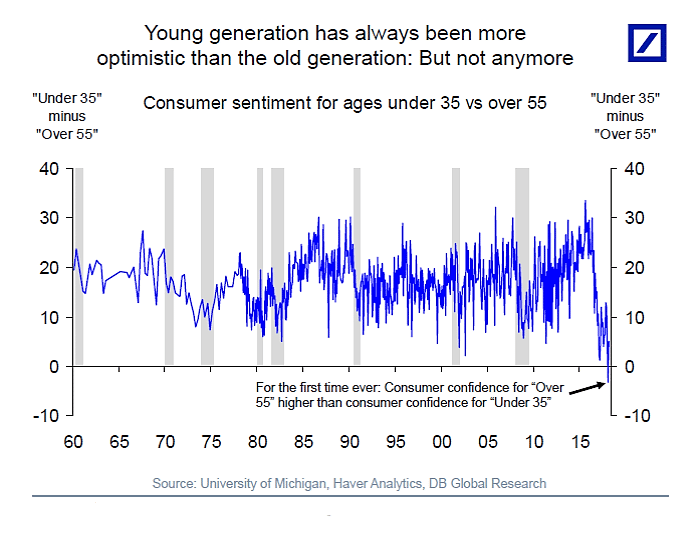 Contrary to popular belief, this lack of sentiment doesn’t reflect millennials’ tenure. According to Pew Research, millennials aren’t job-hopping any more than Generation X did in their early careers. Actually, among the college-educated, millennials have longer track records with their employers than Generation X workers at the same age. Sadly, this increased tenure does not correlate with job security or higher wages. As a result, millennials are the most likely to leave their jobs in the next 12 months if the job market improves. 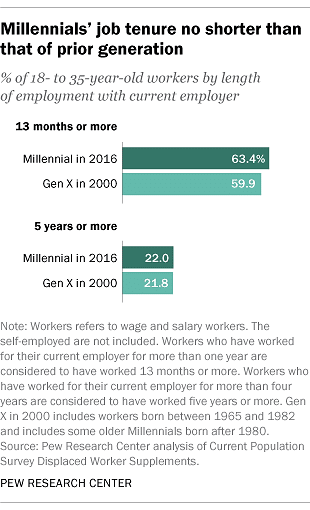 With this information, it’s no surprise that the workplace will change over the coming years to better reflect millennials’ ideals and goals. It seems that the general attitude of millennials in today’s workforce is realistic – they know what they deserve, and what they need to achieve, and aren’t willing to compromise for less. The largest problem facing anyone in the workplace, no matter the generation, is engagement. Unengaged workers pose a threat to productivity, and in turn lead to higher turnover and loss of profit. Gallup estimated the cost of disengaged employees at $350 billion/year in lost productivity. Gallup research also shows that millennials are the least engaged generation; 72% are disengaged in their work. Lots of factors can affect this measurement, yet Gallup’s research shows that focusing on “opportunity to do best” and “mission and purpose” are the strongest factors for retaining employees. In addition, “opportunities to learn and grow” is an important element for millennials. Currently, only 28% feel their organizations are making full use of their skills. More alarming – 42% of respondents believe they will not be able to learn the skills they need for their careers at their current job. Millennials feel unengaged in their jobs, yet they are confident that better options exist. Research shows 63% of respondents believe they could find a job as good as the one they have if they left their current company. Therefore, a focus on engagement initiatives will certainly begin to take precedence over other tasks of management and companies. Millennials hold 20% of all leadership roles, and this number is growing. They will define a new standard for leadership, with conviction, collaboration, flexibility, and open communication. Millennials are the “diversity generation.” Millennials actively pursue philosophies, politics, and social equality in all aspects of their lives — even the workplace. Reports show that 83% of millennials are actively engaged when they believe their organization fosters an inclusive culture. Only 60% of millennials are actively engaged when their organization does not foster an inclusive culture. Millennials make up 27% of the minority population, including 38% of voting-age minorities and a whopping 43% of primary working age minorities. This means diversity in the workplace will not only be more prominent but will define the corporate culture of many companies. The number of millennial leaders is growing, and they want to expand inclusion in the workplace. The general belief is that past generations have handled diversity poorly in the past. Two out of 3 millennials chose their current company because of their organization’s overall purpose. Without a shared set of values and ethics, they are unlikely to engage with a company. A major trend in the last 20 years is the increased presence of artificial intelligence, machine learning, and automation. 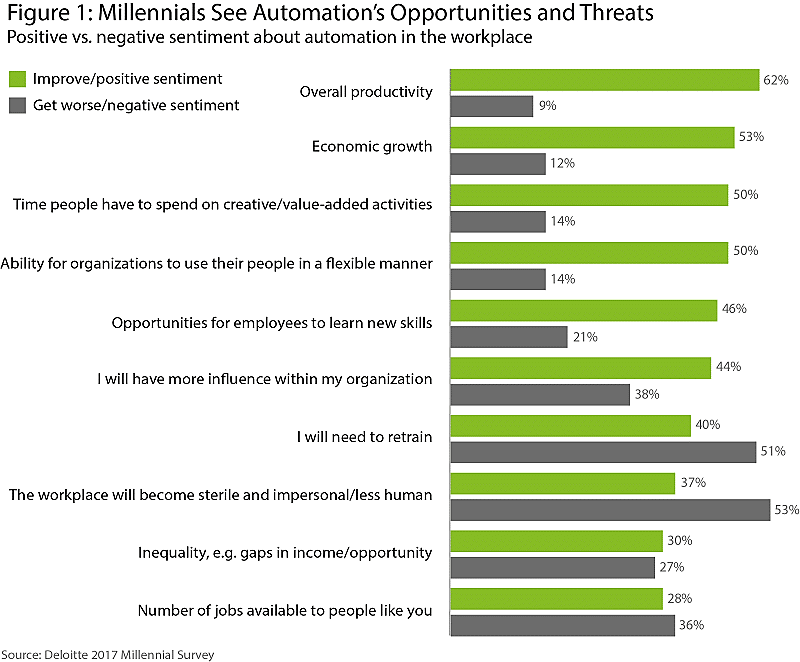 Will millennials embrace or regulate the use of AI and other automation when it comes to business practices? Research shows a split sentiment. Automation is more consistent, measurable, manageable, and cost effective than many traditional work allocations. However, people will always drive products and services. Technology cannot compare to people’s ability to tell a compelling story, communicate with color, recognize and respond to context, make and maintain connections, be emotionally competent, and of course guide with an ethical focus. It is up to the next generation of leaders to shape this technology. The torch has passed to the millennials. They have made their desires clear – more purpose, collaboration, innovation, and flexibility. Companies that wish to survive the new age of business will have to adjust accordingly. Only the future will tell what millennials do with this new influence. But if research holds true, the future will be more inclusive, collaborative, rewarding, and technologically advanced. What do you think? How can society empower millennials to make a positive impact? Let us know in the comments!